So you think the idea of visiting a presidential library sounds about as interesting as watching paint dry. I was in your camp until I visited the LBJ Presidential Library in Austin Texas. I expected lots of yellowed documents, some photos, and “Mad Men” era tchotchkes. What I got was a tour of some of the most dramatic events of American history, in which Lyndon Baines Johnson was intimately involved. They include the civil rights movement, the Vietnam War, the space program, and his transition to the office of President after the assassination of John F. Kennedy, to name a few. His legacy in this area is only now being recognized because it was previously overshadowed by his administration’s handling of the Vietnam War. At the museum, one sees a portrait of a man tortured by his responsibilities as commander-in-chief during that unpopular war. But the library informs visitors on the other sides of Johnson, who was often a funny guy and a savvy politician, who twisted plenty of congressional arms to further his legislation. Most importantly, the museum gives visitors historical context for so many of issues with which Americans struggle today. 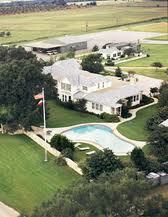 If you have time, head for the hills….Texas Hill Country, that is…to see the LBJ ranch. And, see The Wall Street Journal’s review of the latter two books. 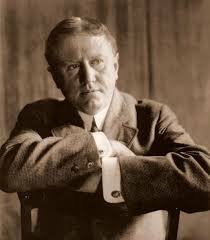 Before William Sydney Porter, aka O. Henry wrote his famous short story “The Gift of the Magi,” he lived for a few years in Austin, Texas. The tiny house he rented survives as a museum. It’s tucked in right next to the giant Hilton Austin in the center of town and this property looks like it would have great potential to become a parking lot or fast food joint, and in fact it barely missed the wrecking ball back in the 1930s. As I’ve mentioned in a previous post on authors’ homes, the places where famous authors lived are often a disappointment compared to the places they describe in their books. And, a huge modern building right next door doesn’t help you envision the author’s life as it was in the 1800s. 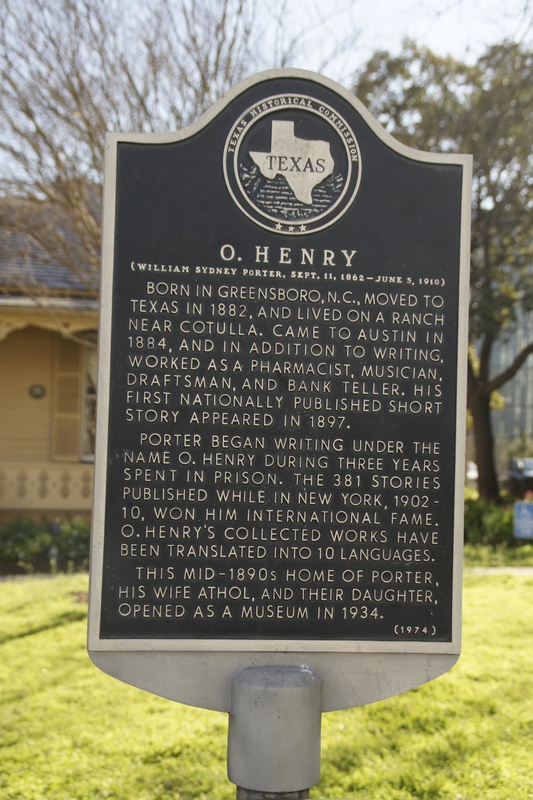 Nonetheless, if you’re in Austin, you should pay a call at Porter’s house, if only to get a taste of how people lived at the time. The price is right, too. It’s free, but please make a donation when you leave. Ah, the symbolism. If Porter could see his tiny home now, wedged in next to the giant hotel, I’m sure he would find inspiration for another story. Though the South by Southwest music, film and interactive fest has dominated Austin lately, the city has has a ton to offer year-round including great food, shopping, and music coming out of every doorway on 6th Street. In addition, if you have an extra day on your visit to Austin, you’ll find plenty to see, do and eat in the Hill Country west of Austin. 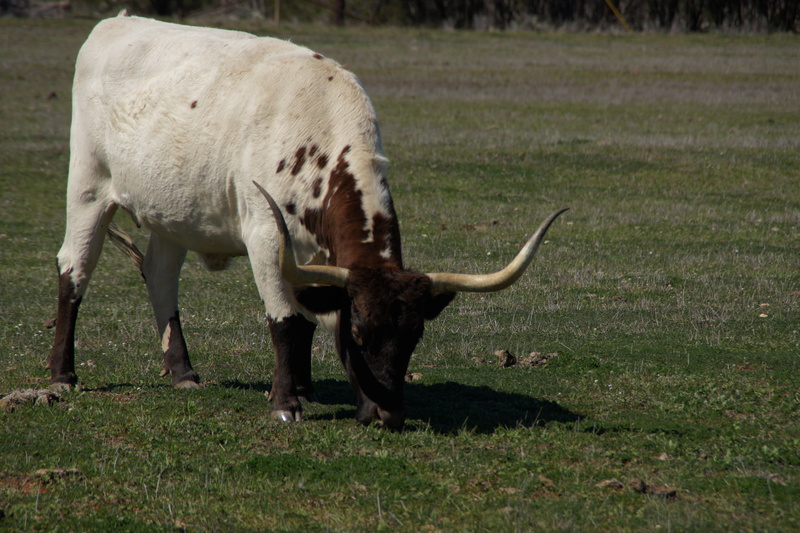 It offers a chance to see the Texas countryside, with stunning wildflowers in spring, and even a few longhorn cattle. Head first to Fredericksburg, a charming town that German settlers founded back in the mid-1800s. A trip down Main Street there is like a walk back into the old west, lined with historic limestone buildings, but with cute shops that cater to tourists on the inside. If it’s hot, you’ll find plenty of beer gardens and craft beer to slake your thirst. Turn back in the direction of Austin, and pay a visit at the Lyndon Baines Johnson Ranch, home of our 36thPresident, and known as the Texas White House during his presidency. Be sure to read Doris Kearns Goodwin’s Lyndon Johnson and the American Dream or Billy Lee Brammer’s, The Gay Place which is about Texas politics and Lyndon Johnson to get the most out of your visit here. The ranch is now operated by the National Park Service. You can tour both an historic Texas farm and the Texas White House, circa 1968. It’s a great way to get off the road and see what a Texas ranch looks like, get a look at the lovely Pedernales River, and see the ranch house as it was, right down to the clothes in the closets.